APAI ERT Day 1 | Mothers Against Wind Turbines Inc.
APAI – ERT DAY 1 – Good beginning! The first day of the ERT illustrated the strong support of APAI members in opposition to the Windlectric project. Thanks to APAI members and neighbours from Bath and Nicholson Point who filled the hall in Bath. Your presence is very important and conveys the importance of this hearing to the community. After the opening remarks, procedural reminders and upcoming schedule by the Tribunal, all parties agreed to the order of appearances of witnesses. Tom Beaubiah representing the Cataraqui Region Conservation Authority (CRCA) was granted participant status in the proceedings. The CRCA’s primary interest in the case relates to its ownership of a portion of the “Owl Woods” on Amherst Island, which was purchased to conserve owl habitat and to provide opportunities for managed public access. Mr. Beaubiah spoke to the impact of the project on Owl Woods, wintering raptors, owls, and habitat. He noted that the Stantec report on natural heritage did not appropriately consider local impacts to a small Island environment and failed to consider cumulative impacts among other deficiencies, and that the applicant has not provided sufficient evidence to demonstrate that the proposed project can proceed without causing serious and irreversible harm to wildlife (mortality) and its habitat (loss of critical areas). Mr Beaubiah explained that raptor mortality at wind turbine facilities will not have a measurable impact on Ontario raptor populations but noted that the existence is an economic tourism resource and a feature that makes Amherst Island unique. Therefore local raptor population impacts following a decline in density and presence may be significant. Mr. Beaubiah concluded by recognizing that the appellant has requested that the REA for the proposed project be revoked for both environmental and human health reasons. Should the Tribunal allow the approval to stand, the CRCA requests that the Tribunal impose additional conditions including further investigation of significant wildlife habitat (ecological functions – foraging) prior to a final site plan being finalized; potential relocation of wind turbines and infrastructure to avoid prime habitat (critical feeding, movement patterns); and inclusion of the CRCA in enhanced post‐construction monitoring to assess habitat function and impacts. Ms. Caughey was granted participant status in the proceedings. Her presentation provided the Tribunal with an an early awareness of one of the great concerns that has been ignored by both MOECC and Windlectric. Amy is a resident of Amherst Island and is the mother of young children who attend Amherst Island Public School and use the Community Center, both of which are located immediately adjacent to the proposed location of the Project’s concrete batch plant and laydown yard.She explained that the proposed cement batching plant, laydown area, transformer station, maintenance building, site office, mobile fuelling and transport of hazardous materials and heavy equipment will cause a serious risk of harm to human health and in particular to children at the Amherst Island Public School and Community Centre. Amy stated that the UN Convention on the Rights of the Children endorsed by Canada in 1991 and upheld by the Supreme Court of Canada requires administrative tribunals to consider the best interests of the child as a primary consideration. She documented that the MOECC had for some years explained that the cement plant was not part of the REA and would require Environmental Compliance Approval, a more stringent process that takes into account nearby sensitive land uses and municipal input. However, the Ministry changed its position and posted Modification 3 to the project on the EBR which defined the cement plant as equipment necessary for the REA. She pointed out to the Tribunal that the BCX consultant’s report on emissions failed to acknowledge the presence of the school and to provide specific information about toxic emissions at the school. The report also excluded references to emissions from the stockpile and transport of materials acknowledged by Lafarge, the proposed plant operator, to be a main source of emissions. Amy also explained that noise from the cement plant will exceed Ministry standards particularly for impulsive sound and, when the noise from the plant, transformer and truck traffic are combined, the noise will be unacceptable and harmful. She questioned whether Windlectric and MOECC considered alternative locations for the plant and mitigation measures to minimize the impact on children. Before concluding her presentation, Amy emphasized that a cement plant by a school would not be allowed in Toronto or elsewhere in Ontario. She requested that the precautionary principle be used for Amherst Island children as it is for other children of Ontario. Her comment “NOT GOOD ENOUGH FOR MISSISAUGA, NOT GOOD ENOUGH FOR AMHERST ISLAND” was greeted with resounding round of applause from the crowd. Mr. Bill Evans representing the Kingston Field Naturalists (KFN) was granted presenter status in the proceedings. KFN owns a nature reserve at the east end of Amherst Island and the group is concerned that serious and irreparable harm will occur to the Bobolink bird population on Amherst Island as a result of the construction and operation of the Project. After an hour of deliberation, the Tribunal ruled that Mr. Evans was qualified as an expert in nocturnal bird migration and avian fatality from tall man-made structures. At the outset, Mr. Evans stated that in 2010, the Committee on the Status of Endangered Wildlife in Canada designated the Bobolink as a Threatened species Mr. Evans also explained that the Bobolink population on Amherst is a significant fraction of the population in the Kingston region and the breeding density is 14 times higher on Amherst than on the neighbouring mainland, illustrating that Amherst Island is a stronghold for Bobolinks. 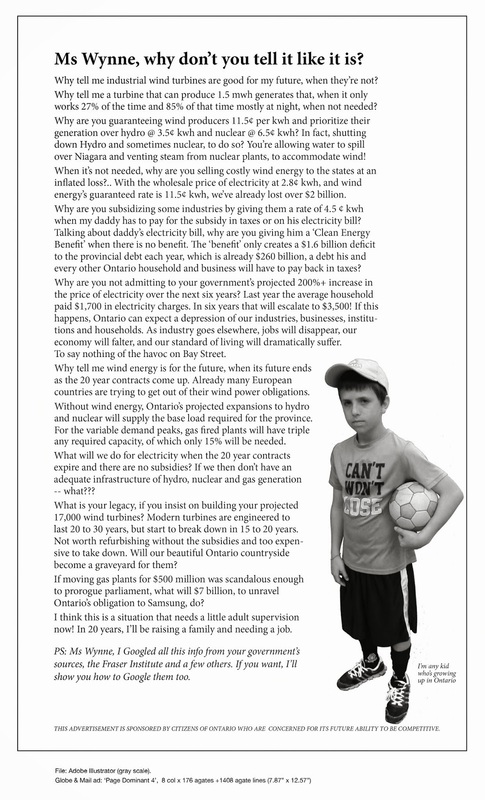 He then gave a number of reasons why this annual take would likely be higher on Amherst Island: longer blades for the proposed Amherst Island Wind Project would have a 25% larger rotor swept zone per turbine, which would extend further from the wind turbine towers; the density of breeding Bobolinks on Amherst is greater than that on Wolfe Island and Amherst Island is 44% smaller than Wolfe Island and more isolated by water. Therefore, on Amherst Island, there would likely be two to three times the number of Bobolinks flying through a 25% larger rotor-swept zone within the area of greater bird density, the combination of which would likely substantially increase the fatality rate per turbine. He added that the smaller, more water-isolated conditions on Amherst would increase the likelihood that individuals would pass through the rotor-swept zone more often than on Wolfe Island during the summer flocking period. Overall, an annual Bobolink collision fatality rate of 1%-5% would be reasonable to expect from the proposed Amherst Island Wind Project. He concluded by specifying that the breeding population of Bobolinks on Amherst Island consists of around 2800 birds. The proposed wind turbines on Amherst Island would kill an estimated 1%-5% annually. An extra 1%-5% annually from mortality from wind turbines on Amherst, in addition to the more widespread loss in population due to a reduction in available breeding habitat will eventually lead to serious and irreversible effects on the threaten Bobolink population on Amherst Island. This would also have serious effects on the Bobolink in Ontario because Amherst Island is a stronghold for the species. Although scheduled, presentations by Mr. Eric Welbanks representing CAIRE and Mr. Alex Tsopelas representing Windlectric Inc. were deferred. The scheduling continues to be a challenging component of the proceedings and we will try to keep you posted as the situation evolves. The Tribunal is scheduled to meet in Bath on Wednesday December 9 at 10:00 am and return to Toronto forDecember 10 and 11. The Toronto hearings will be held at the Environment and Land Tribunals Ontario offices 655 Bay St., Suite 1500, Toronto ON M5G 1E5. APAI is considering chartering a daily bus for supporters who would like to attend the hearings in Toronto onDecember 10 and 11. The number of participants would have to be sufficient to make the price of the ride reasonable. Please advise Michèle by Tuesday noon if you are interested. Car pooling should also be considered as an option if the numbers are not sufficient to rent a bus.